Raising Dough for Arthur was a huge success! What an amazing night! 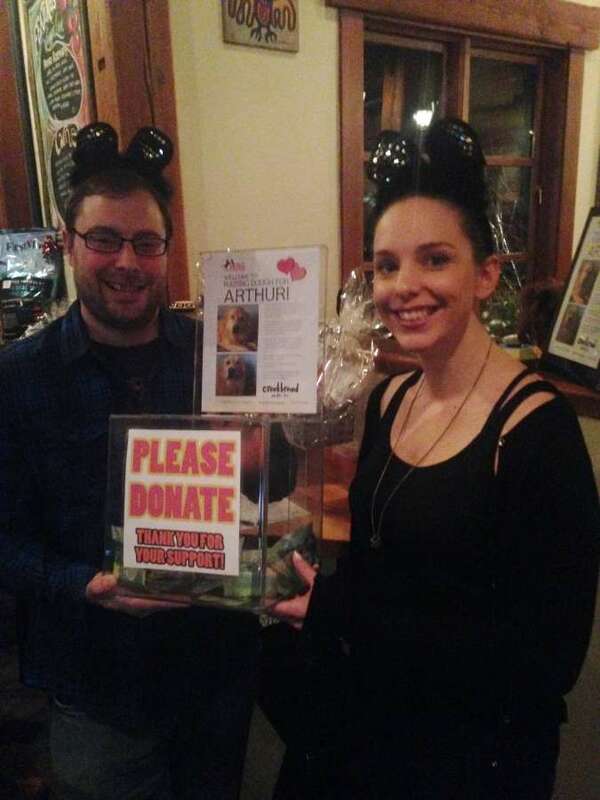 We cannot believe the amount of support that was shown for Arthur, our senior sweetheart, this past Tuesday at Creekbread restaurant, here in Whistler. We had so many amazing donations for our silent auction, and we cannot believe how quickly items were sold with the Buy It Now option – you had to move quickly with this crowd! FINAL TOTAL RAISED IS COMING SOON! Thank you to Arthurs foster families. Arthur has been adopted! We are so happy for this special man and his new family – we know he is going to be spoiled rotten!